< contribute here - everyone wins! A set of lesson plans, "The Bones" were generated by 4th grade teachers. An Ambassador school in the city of Detroit was chosen - Dixon ELA. "The Bones" are given to the Ambassador school teachers. The Good Pet Guardian Lesson Plan team help Dixon execute the plans. WA2S Films will produce new video content with Dixon students. The filmed content and finished plans are given to all Detroit 4th graders. Dixon as 4th grade Ambassadors help Detroit 4th graders use the plans. Detroit's Dixon Educational Learning Academy has been chosen as the Ambassador school for all 4th grade students in the Detroit Public School system. The template for the Good Pet Guardian Lesson Plans for Detroit 4th graders has been prepared, tested, and approved. 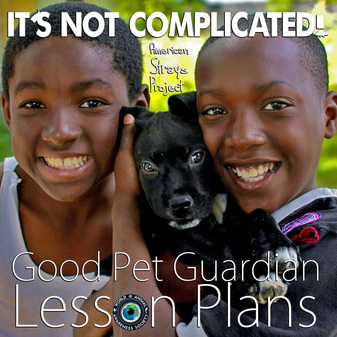 Read about the Good Pet Guardian Lesson Plans: DETROIT STUDENTS WILL LEARN PET CARE ALONG WITH THE 3 R'S in the Sunday Detroit Free Press from August 31, 2014. The #1 issue facing domesticated dogs in large cities in the United States today is a lack of education in the community on what it means to be a good pet guardian. 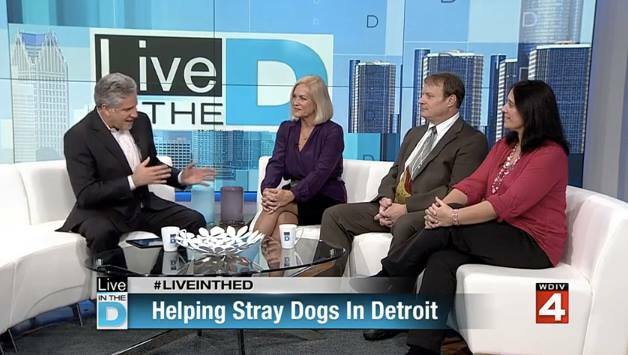 The Detroit Public Schools system is enthusiastic to teach with the Good Pet Guardian Lesson Plans beginning with 4th graders because they teach core curriculum subjects most important to the teachers, students, and parents and do not push an agenda. From fatal dog bites of people, to human abuse and neglect of dogs. From dog fighting gangs, to high surrender rates, and lack of community-wide spay and neutering, to very high dog euthanization rates in local shelters (There are published estimates that more than 4 million dogs are euthanized in shelters every year). Each one of these issues can be attributed to one thing! A LACK OF GOOD PET GUARDIAN INFORMATION! The contents of the Good Pet Guardian Lesson Plans for 4th Grade - The "bones"
History And Evolution Of The Dog: Objectives: Students gain a perspective about the history of the canine. Students will travel back in time to learn how canines evolved, how their interaction with man forever changed the relationship of human and dog, as well as historical needs and wants of the species. Human and Canine Companionship:Objectives: Students will be viewing materials that illustrate the background of canines and will then construct a Venn Diagram of species interaction as well as create a timeline that illustrates the development of the dog to a companion. How The Economy Works In Relation To Stray Dogs + CSC:Objectives: Students will be able to: understand important terminology related to the American economic system, including credit, debt, and bailout bill to distinguish between a healthy and weak economy, relating these facts to stray and homeless dogs. How Community Issues Affect People and Create Stray Dogs + CSC:Objectives: Explore the domino effect of recession on people, their lives and pets. Relate the economic recession to homeless pets. Illustrate how a pet could become a stray using a cause/effect flow chart. Problems Afflicting Stray Dogs In A Large City + CSC:Introduce students to the work of the American Strays Project. Objectives: Students will brainstorm problems encountered by stray dogs in a large city like Detroit, categorizing them as long or short term problems. Students will brainstorm solutions to the problems which could include shelter overcrowding or neglect and abuse. Students will ask questions of the American Strays Project team on their visit (Schools not scheduled for direct interaction with the American Strays Project Team will have an opportunity to submit questions through email and some schools will also have opportunities to do a Google Hangout with the American Strays Project team) to the kids' school to begin the process of resolving the issues. Neighborhood Stray Dog Survey + CSC:Objective: Students will do a week long survey of any stray or homeless dogs they observe in their own neighborhood and submit a report of their findings. What To Do If You See A Stray + CSC:Objective - Students will research local organizations to call if they see a stray and collect their phone numbers and email addresses. The numbers will be developed into magnets to keep in the family car or at home on the refrigerator. Lesson Plans. A $10 pledge will help educate a class of 25 fourth and fifth grade students! ​San Antonio, Dallas, Houston, Memphis, Nashville, New Orleans, San Diego, Tucson, Phoenix, Charlotte, Tampa, Miami, Jacksonville, Pittsburgh, Philadelphia, St. Louis, Kansas City, Baltimore, Seattle, and Detroit.